Everyone who have a possibility spend a lot of time outdoors at Summer. Those who enjoy DIY projects concentrate on outdoor projects during this time. Here is one of such projects. 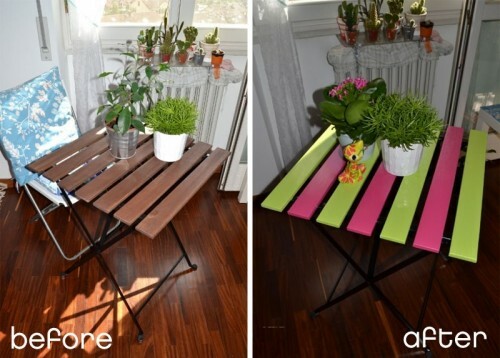 A cool upgrade of IKEA TÄRNÖ garden table to breakfast table with some improvements. I hope it will inspire you to make something similar.